Happiness is Fighting For The Cause at Medieval Times Atlanta! I am so grateful for all the opportunities the Bluebird Patch have given to my family. 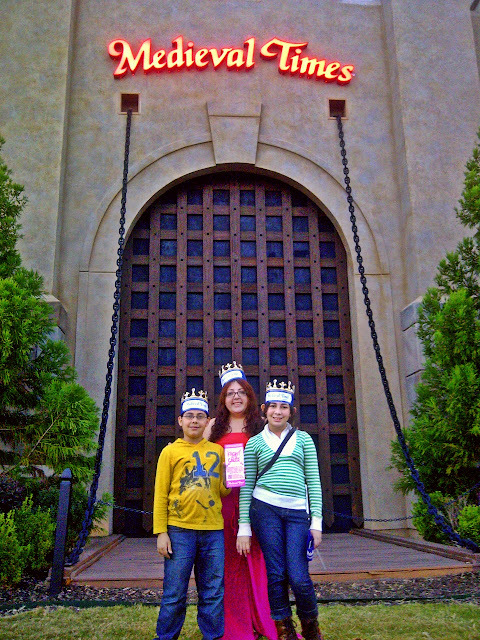 We have been able to meet amazing people, connect with extraordinary organizations and visit places we have never been before. 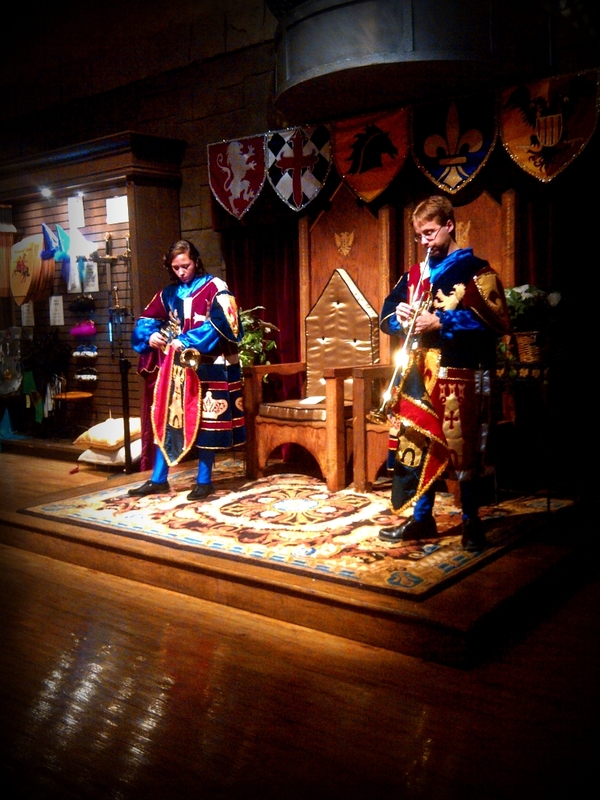 Last week, we were invited by Medieval Times to enjoy a four-course dinner and tournament at their Atlanta castle. 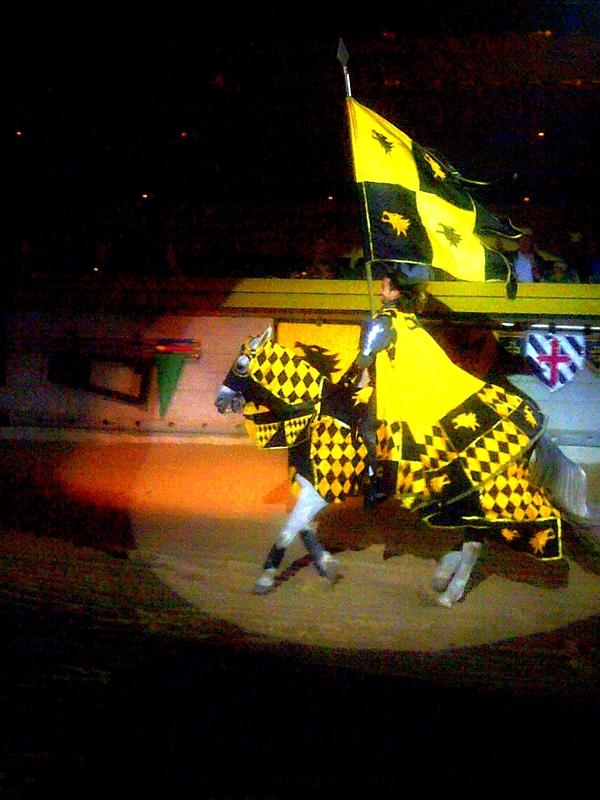 Their new show is full of live jousting, sword fights, horsemanship and falconry. In addition, the choreography, battle scenes, costumes, horse dressage elements, musical score are different from their previous show. As we walked the inside premises, we couldn't help but noticed all the pink "Fight for the Cause" signs. 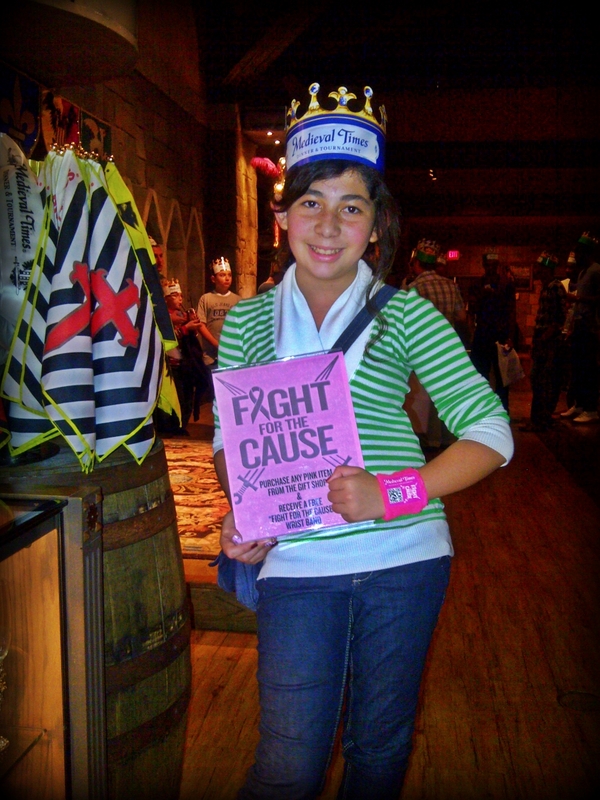 As a person who lost a mother, and both grandparents to cancer, I am always moved when organizations like Medieval Times offer their support to breast cancer awareness. The Atlanta castle has committed to donate $1,000 to Winship Cancer Institute at Emory University once attaining 4,000 local Facebook page ‘Likes’ (https://www.facebook.com/MTatlanta). 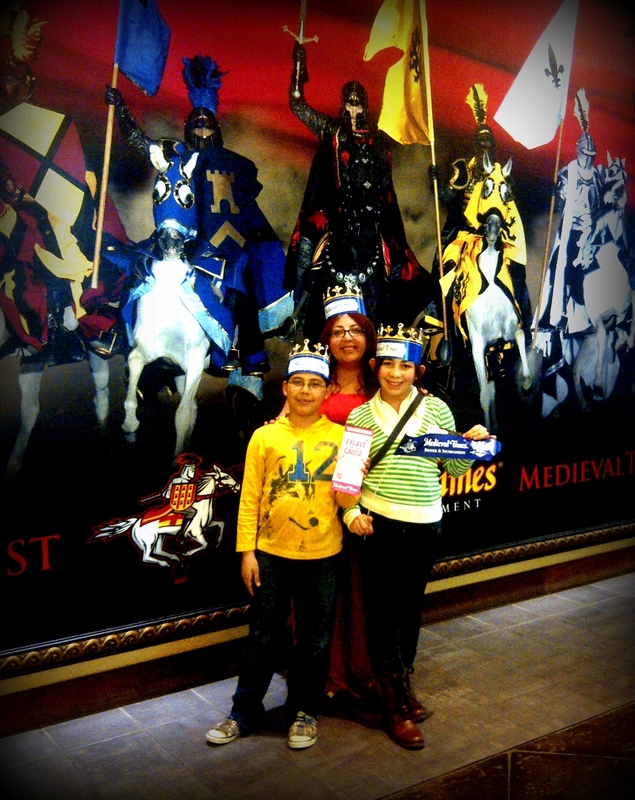 In addition, Medieval Times have allow us to give four tickets for a dinner & tournament to one of our readers. Please visit http://www.thebluebirdpatch.com/2012/10/fight-for-cause-medieval-times-launches.html to enter our contest. Finding the cure for cancer is an attainable goal but we need to come together as a community and do our part. 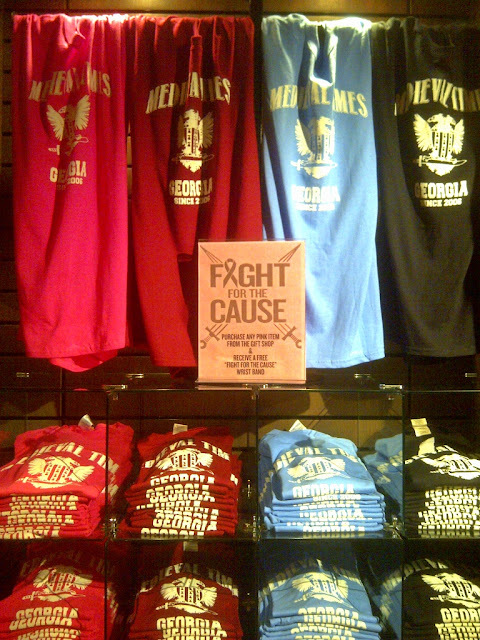 I urge you to please support this cause that is so important to me. There's nothing fair about cancer and no one deserves to have it.